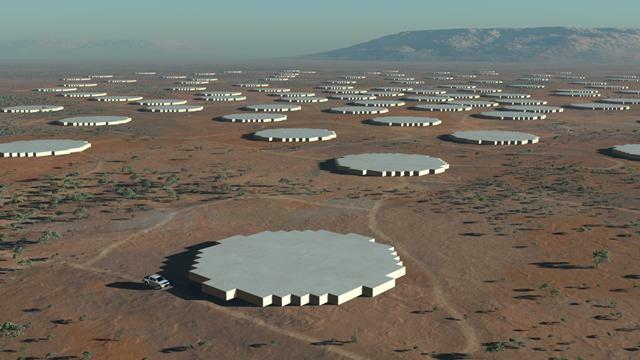 We've just been to the Square Kilometre Array (SKA) Concept Design Review, held in Manchester in the United Kingdom. 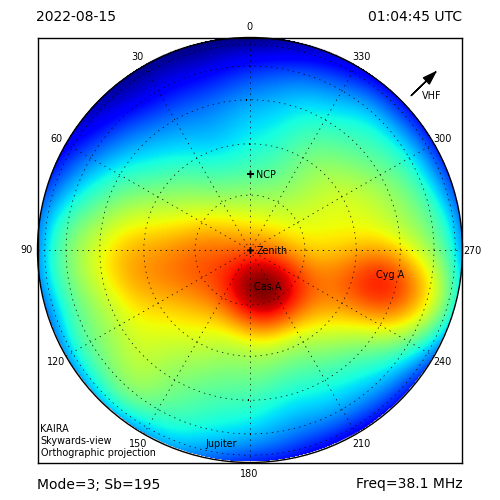 Attendance has been as an observer, but it has certainly been very useful to meet with the SKA community. There is a degree of overlap in technologies between the SKA, LOFAR, EISCAT and KAIRA projects and there are many opportunities for fruitful collaboration. SKA will probably be mentioned a lot in the web log as the months go by. 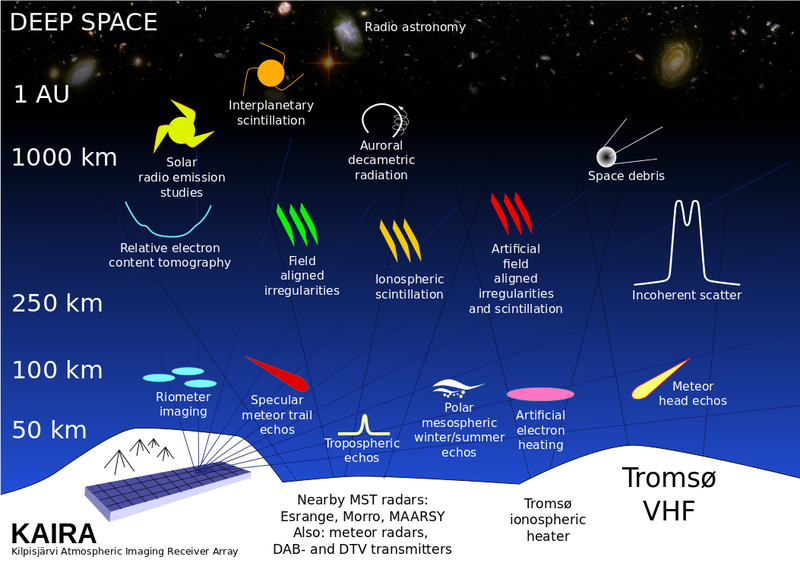 It is a big project, and sits firmly in the scientific vision of most groups undertaking radio astronomy. But what is it? 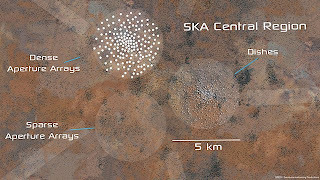 SKA, as the name suggests, is an array of antennas with a total collecting area of 1 square-kilometre. 1 square kilometre is 1 million square metres, so this is big compared to the 4800 m2 of KAIRA, and it will even outstrip LOFAR and EISCAT. The antennas will be grouped into stations, with a large number of these stations clustered together into a 'core' (in the same way that LOFAR has a 'core' of stations that are close together). These core stations will cover an area some 5 km or so. The furthest stations will be scattered out to distances of several thousand kilometres from the core. 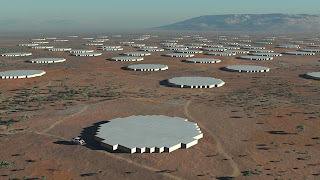 This requirement for a large area, as well as a desire to build it in the southern hemisphere (for astronomical reasons) and a need to keep away from interfering radio signals has limited the possible locations where the SKA can be built. Currently there are two candidate sites: one is Australia and one in South Africa. The decision on this will be made in the next few years. Tomorrow we'll have a closer look at the SKA antenna systems themselves.